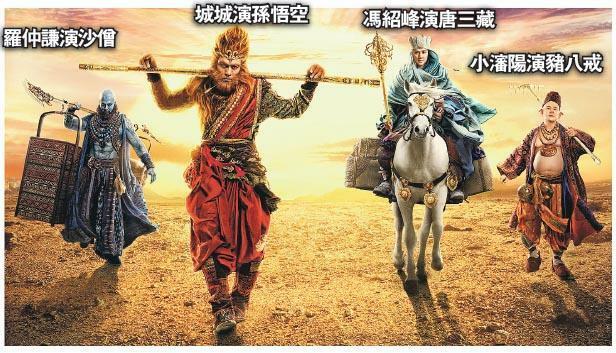 The Filmko new film THE MONKEY KING 2 (SAI YAU GEI ji SUEN NG HUNG SAM DA BAK GWUT JING) yesterday unveiled the master and disciples quartet. Aaron Kwok Fu Sing, Feng Shaofeng, Law Chung Him and Xiao Shenyang appeared in costume together officially! Director Soi Cheang Po Shui said that they could be called the "JOURNEY TO THE WEST YOUNG AND DANGEROUS" or "EASTERN FANTASY F4".